We should remember that when you have a SEND condition/difference that you may be under a certain amount of stress. People with dyslexia cope with high levels of stress all the time therefore anxiety can be a very big problem for these people, this may also be the same with people with dyscalculia and those that have maths difficulties. We are delighted that Professor Steve Chinn will be looking at Maths Anxiety and links with dyscalculia on our SEND Group webinar. 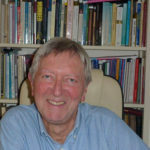 Professor Steve Chinn has over forty years of as experience in work and research in special and mainstream education. In 1986 he founded and then developed and built a specialist secondary school for dyslexic boys, a school which won major national awards. Now Professor Chinn is an independent consultant, researcher and writer and has presented papers, contributed to conferences and delivered training courses for psychologists, teachers, parents and support assistants in over thirty countries across the world. More information about Professor Steve Chinn.